Posted October 3, 2018 by Georgia Fullerton & filed under Featured Inner West Independent, Inner West Independent. Inner West Councillors have expressed dismay after being presented with only a single page organisational report as part of the inner west council amalgamation process. At the Inner West Council meeting on 25 September, councillors were given the one page report detailing the General Manager and Senior Staff structure of the council, leaving many feeling that the length and depth of the report was not nearly comprehensive enough. The report was presented as part of the continuing efforts to merge three previously separate councils into the Inner West Council. Independent Councillor John Stamolis said that the report’s lack of detail during such an important transition period was unacceptable and suggested the restriction of information was designed to limit public scrutiny. “We’re right in the middle of a merger, major transformation of your council…of three councils…and we get a one page report,” he said. “I don’t care whether there’s theory in the local government act that says that’s all you have to do…theory is one thing; common-sense and good practice are another. “I would think that a report in the order of 25 to 30 pages would have been in order because after this particular time we want to know what the structure is and why the structure is as it is,” said Cr Stamolis. “Also, if we’re going to debate this as a report and discuss it amongst council, I can’t say one page is going to provide any level of information to do that. 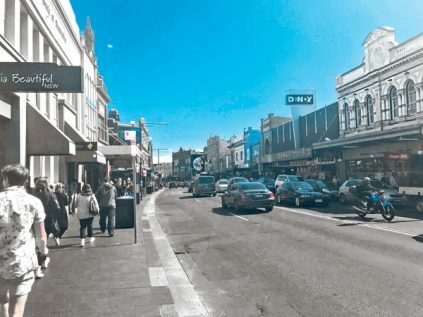 The amalgamation of the Leichhardt, Ashfield and Marrickville councils into an expanded ‘mega-council’ was forced by the State Government in May 2016. The organisational report was intended to set out the general manager and staff positions for the newly unified council however Councillors say the lack of depth or understanding presented in the report has highlighted disorganisation within council due to the amalgamation. There have been calls for a plebiscite to gauge public opinion on possibly undoing the merger, with costs and inefficiencies occurring within the organisation of the new council cited as reasons the amalgamation should be reversed. Independent Councillor Pauline Lockie said she shared Cr Stamolis’ views on the report and said staff operations were key to running to council and the organisational structure was necessary information which should have been available to the councillors. “It [report] was not at the depth of information we would’ve expected,” she said. “We only got given a two-tier structure which is the general manager and the three deputy managers that sit under that, but of course underneath those positions there’s a whole lot of other senior staff who head up each individual area. “I was quite surprised not to see those staff in there because the people who are at that level are still senior and also have a big impact on the way the council operates because they head up all of our key areas like parks or aquatics and all of the services that our community interacts with,” said Cr Lockie. Cr Stamolis questioned the decision to eliminate the position of General Manager for Aquatics. “Council has the most historic aquatics program in the history of the Inner West valued at $60 million, so why did we make the manager position of aquatics redundant?” he asked. Cr Lockie said she shared Councillor Stamolis’ concerns with the deletion of the position, “particularly as we’re launching into a huge investment phase with our aquatics area…I just find it a baffling decision to just demote that position at this particular time.” Former mayor of Marrickville and current Independent Councillor, Victor Macri said the reaction to the report was a reflection of in-fighting within the newly formed council. “I just think that a lot of the instability within council has been brought on by the councillors,” he said. “There’s a lot of inexperienced councillors there that are making a lot of work for staff and making it really difficult. Mr Macri continued, “Councillors are playing games with people, they’re saying ‘oh we’re doing our best and it’s the big bad State Government that’s doing this to you’.” “The report was only on the managerial positions, it just identified the people and it sought to seek ratification on that…the operation of council belongs in that other realm, not with the elected officials. Cr Stamolis said that for such an important report in terms of council structure and service, the quality was not only unacceptable for the council itself but also for the community. Mayor of the Inner West Council, Darcy Byrne was contacted for comment.